With water testing being an important part of any testing programme, I thought it would be useful to include some guidance to help you understand your water reports. Below are therefore some quick checks you can do. The standard 4 tests for water testing are TVCs at two temperatures 22OC and 37OC, Coliforms and E. coli. Sometimes you might test for Enterococci (sometimes called Faecal Streptococcus) and/or Sulphite Reducing Clostridium (or Clostridium perfringens if you like). And other water samples like pools, spas, cooling towers etc will require Pseudomonad and Legionella testing. No. 1 – Why Test at 22OC and 37OC? TVCs (Total Viable Count, also known as ACC or APC – please see previous blog post – TVC, ACC, APC what’s the difference?) is the number of bacteria we can get to multiply under aerobic (with oxygen) conditions, at 22OC within 72 hours or 37OC within 48 hours. The major difference between these tests is the temperature that the plates are incubated. The theory is the 22OC count will be more indicative of the resident microflora whilst the water is in the pipe, bottle etc – as this is considered “room temperature”. The 37OC will tell you if there are bacteria in the water which prefer to grow at body temperature and thus may be more sinister if the water is drunk. Very often if the TVCs are high both tests show high counts, but if only one is high it is generally the 22OC that is higher than the 37OC – not a hard and fast rule but a good indicator of reliability; see too much of this and start asking questions. All E. coli are Coliforms so it is not possible to have E. coli with no Coliforms – but it is possible (and pretty common) to have Coliforms and no E. coli. And unlike when testing food for E. coli and Coliforms it is the same test for both results, so it really is impossible to have more E. coli than Coliforms in a water sample. No. 3 – Coliforms but no TVCs…how is this possible? We get asked how can we have Coliforms (or E. coli, or Enterococci or SRBs) in our water when there are no TVCs? This can happen and actually happens on a fairly regular basis. The reason is these tests are much more sensitive than the TVC test. The TVC test only uses 1ml of water where these other tests use 100ml of water – They are 100 times more sensitive! 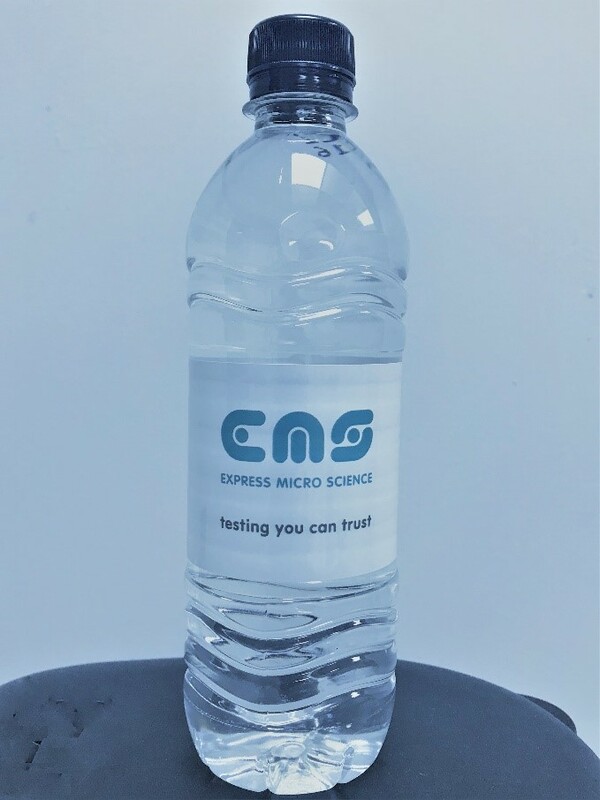 Express Micro Science can perform a range of microbiological tests for your water samples. Please click on EMS water testing to see the complete range of tests available, including Legionella testing and testing potable water and spas.